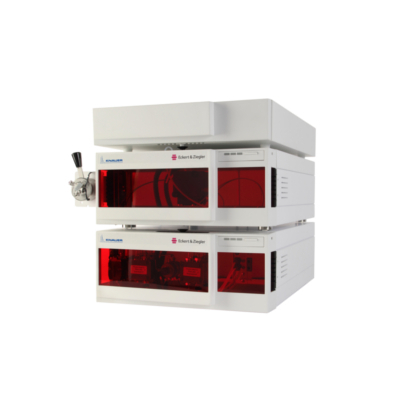 The KNAUER AZURA Analytical HPLC combines elegant design with multifunctionality. Routine analysis for PET tracers based on positron and beta-emitting nuclides are possible but also customized solutions can be developed. The system is flexible and adaptable to your specific needs. KNAUER AZURA Analytical HPLC has been validated with the Modular-Lab product line and therefore is the perfect completion for your Modular-Lab system. Eckert & Ziegler is delighted to meet our customers’ needs and present you a single, stand-alone analytical HPLC system. KNAUER Wissenschaftliche Geräte GmbH is a Berlin based company, which has worked with Eckert & Ziegler for a long time and has major expertise in the development of quality control equipment. 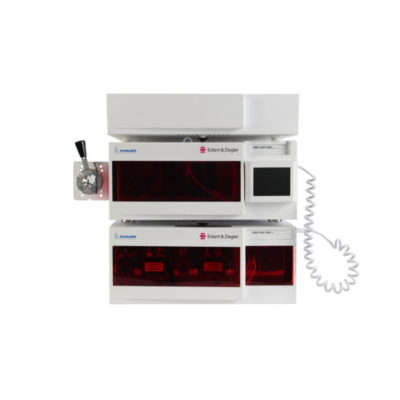 The laboratory equipment of the Modular-Lab family has been specifically designed to allow the production of a variety of radiotracers. The quality control of the products is an essential step of this production. Therefore, the KNAUER AZURA analytical HPLC gives a perfect solution for your quality control process. The HPLC system consists of the AZURA Assistant for compact HPLC HPG, a high pressure gradient pump including 2 channel degasser, AZURA UV/VIS Detector UVD 2.1L (optional PDA), AZURA Eluent tray E 2.1L, a manual 6-port/3-channel injection valve (optional autosampler), AZURA Capillary Start-up kit, Analytical Flow Cell UV, the Interface Box IFU 2.1 and comes with the ClarityChrom(R) CDS software in combination with HPLC-Scan and computer. The timeless, elegant design of the AZURA elements is optimized for user-friendly operation. The removable front gives an easy access to the functional modules. Guides for capillaries and tubing protect sensitive connections. Three colored LEDs indicate the element’s status at one glance. Advanced safety aspects make working with AZURA safer than ever: the intelligent drainage system guides liquid from any leak to the leak sensor that stops the system as soon as liquid is detected. A leakage tray collects leaked liquid. The AZURA gradient HPLC system is a perfect, cost-efficient complement to your Modular-Lab system. Pharmacopoeia-defined analysis processes for certain tracers are available (further information upon request) and support for establishing user methods can be offered. 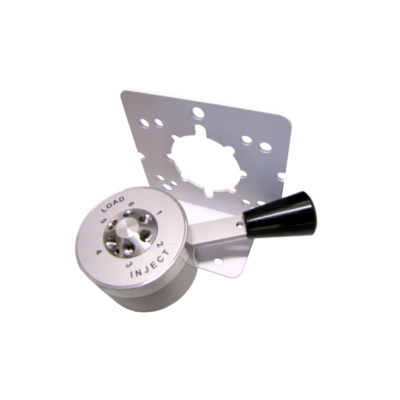 The multifunctionality of the system allows routine analysis for PET tracers based on positron and beta emitting nuclides. For many tracers a ready-to-go operating routine is available, but also customized solutions for your analytical problems can be developed.